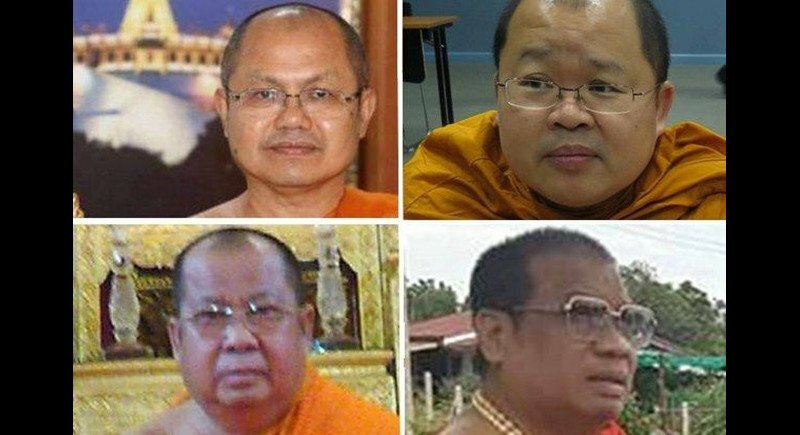 BANGKOK: The anti-graft police have brought charges against four high-ranking monks in connection with the temple funds embezzlement scandal. Col Warayuth Sukkhawat, deputy commander of the Counter-Corruption Division (CCD) led a team of police to Wat Lat Khae in Phetchabun’s Chon Daen district on yesterday (Sept 25) to lay charges against its abbot, Phra Khru Kittipatcharakhun. However, police said they were unable to locate him there. The division has invited the abbot, along with three other senior monks, to acknowledge the embezzlement-related charges against them, brought by the CCD. The second monk facing charges is Phra Rajratanamunee, assistant abbot of Wat Pichaya Yatikaram in Bangkok. He also serves as a secretary to Somdet Phra Buddha Chinnawong, a member of the Sangha Supreme Council (SSC) and chief of the monastic committee in the Central region. Col Warayuth said the other two monks are Phra Thepsenabodi, the abbot of Wat Kawisararam in Lop Buri’s Muang district and chief monk of Lop Buri; and Phra Khru Wisutthiwattanakit, assistant abbot of Wat Ratchasittharam in Bangkok Yai district. The CCD said it has charged the four with violating Sections 157, 147 and 86 of the Criminal Code. Section 157 deals with dereliction of duty, Section 147 with abuse of authority in the appropriation of funds, and Section 86 with assisting any person in the commission of an offence. Col Warayuth said the CCD has brought an additional charge of falsifying state documents against Phra Thepsenabodi under Section 162 of the code. The CCD has sent letters to inform the SSC and the National Office of Buddhism (NOB) of the matter, Col Warayuth said. Meanwhile, CCD police last week raided 14 locations in seven provinces as the agency expands its probe into allegations of graft involving B140 million and the state grant-in-aid scheme for temples nationwide. The CCD found 23 temples were embroiled in the scandal with 19 individuals suspected of having a part in it. Of the 19 suspects, six have already reported to acknowledge charges, Col Warayuth said. They are former NOB director Phanom Sornsilp; Chatchai Chuchuea, director of the NOB’s Buddhist monastery division; Phayong Seelueang, a civil works technician attached to the NOB; Narongdet Chainate, director of the NOB’s Sing Buri provincial branch; Pattana Su-ammartmontri, a religious academic attached to the NOB’s Nakhon Pathom branch; and Natthawadee Tantayawisarnsut, a former NOB official. Pol Col Warayuth said the CCD will today (Sept 26) forward cases relating to embezzlement involving the 23 temples to the National Counter-Corruption Commission (NACC). In its previous round of probes, the CCD found 12 temples were suspected of being involved in embezzlement of maintenance funds worth B60mn dispensed by the NOB. Since then 11 more temples were found to have been involved, including those the four senior monks are attached to. An investigation was conducted based on an examination of the state budget dispensed to temples across the country from 2012-2016. Ten people including NOB officials have also allegedly played a role in the embezzlement. The cases involving the 12 temples were sent to the NACC in June. Prime Minister’s Office Minister Ormsin Chivapruck said no SSC members have been implicated in the scandal so far.